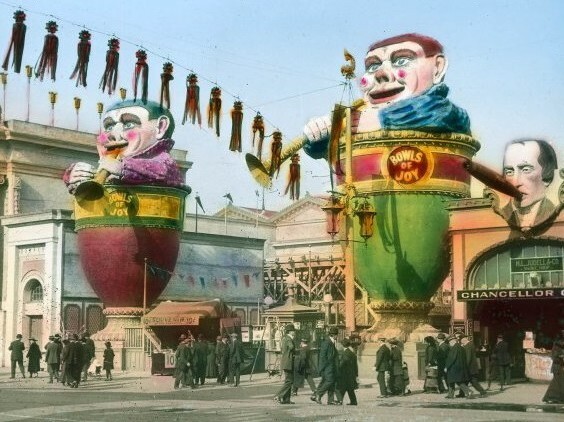 Everyone knows about the splendors of the Panama Pacific International Exposition, but not necessarily much about “The Zone” which was flashy, colorful and – in the eyes of some – a bit tawdry. Visitors to the Zone could find educated horses, hula dancers, risqué artwork, and wild amusement rides as well as fanciful restaurants and souvenir concessions. Glenn Koch’s presentation will take the audience on a visual tour of “The Zone” – you will come away with an appreciation of the PPIE amusement district, and understand why it deserves to be remembered today. 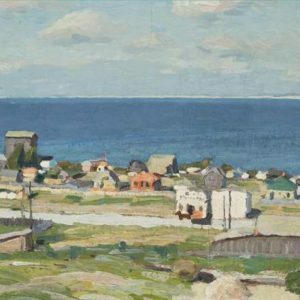 Koch is an aficionado of San Francisco history, and the author of San Francisco Golden Age Postcards and Picturing Long Beach Island, New Jersey. Jim Ganz is curator of the Achenbach Foundation for Graphic Arts at the Fine Arts Museums of San Francisco. Journey inside the PPIE to see what fairgoers encountered 100 years ago in the grand palaces, exotic foreign pavilions, and the amusement midway known as the Joy Zone. 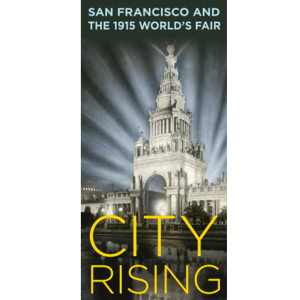 Learn what distinguished this world’s fair through vintage photographs, souvenirs, and other artifacts. Berkeley Goes To the Fair! Berkeley goes to the Fair! 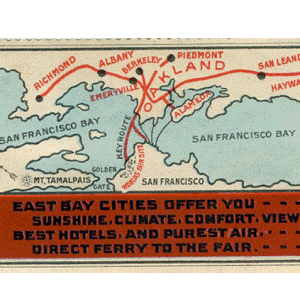 examines the PPIE experience from the opposite side of the Bay. 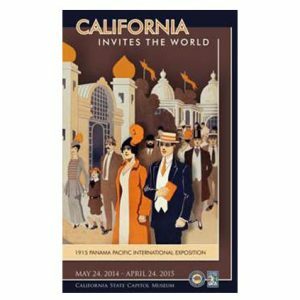 Visitors to the Museum of the San Ramon Valley will have the opportunity to view rarely displayed items from the fair that come from the special collections of the California State Library.